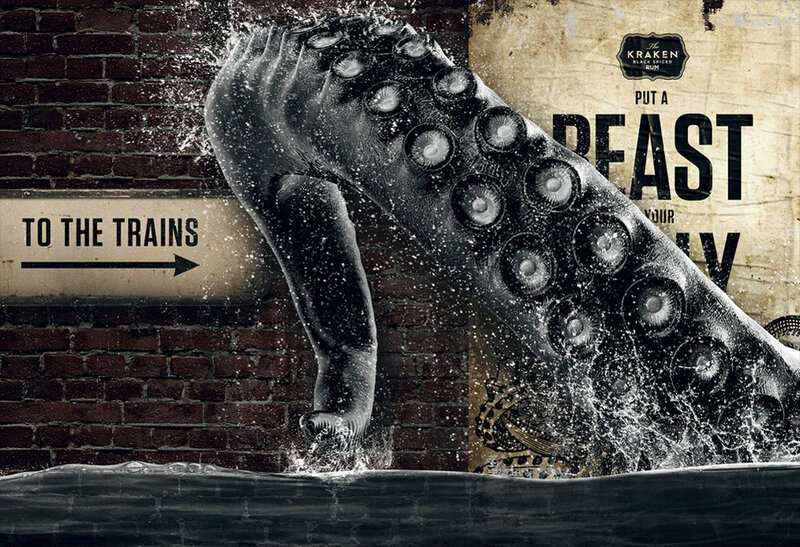 Proximo Spirits briefed us to create a fun, unique and captivating tunnel wrap for Angel tube station to advertise Kraken Rum. If you use the station you’ll be able to see this ‘monstrous’ piece of work in all its glory right now! In addition to the tube wrap we were also commissioned to design and animate a looping animation for the D6 screen at the end of the tunnel.